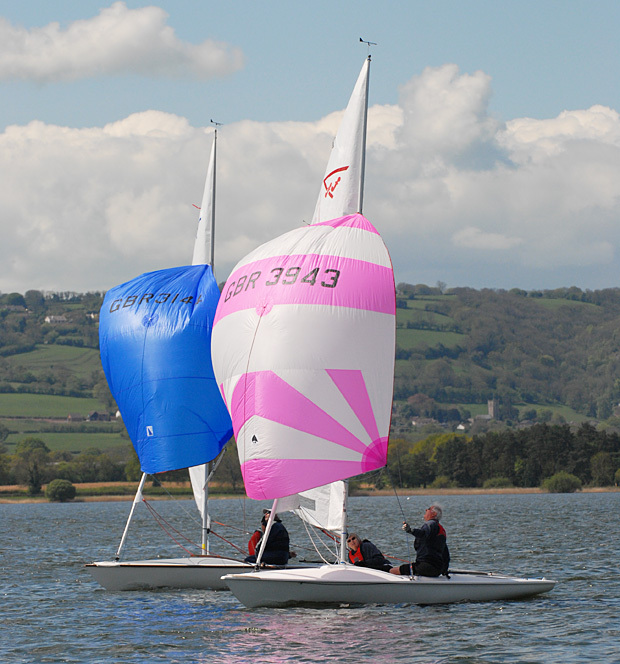 Chew Valley Lake provides a magnificent setting for sailing Flying Fifteens. The lake was formed when the valley was flooded to form a reservoir. The surrounding countryside is very beautiful and the lakeside is a nature reserve. The Mendip hills form a backdrop to the south and the local terrain alters the wind a little. The Club has a long history of producing distinguished sailors including the 2000 National Champion and the 2003 and 2007 Classic World Champion. It hosted the 2000 and 2007 Inland Championships – and will host the 2017 Flying 15 Inland Championships on 13th & 14th May 2017. There is a well equipped Clubhouse with balcony views of the whole lake. There is a bar and professional catering on site. The class is well established at Chew with 19 boats. These are mainly Main fleet boats with a few competitive Silver fleet boats. Our experience suggests that the most important factor in determining success racing is the way the boat is sailed rather than the boat. There is close tactical racing on Sundays in the winter and Wednesdays and Sundays in the summer. The fleet has its own start on Sundays but Wednesday’s races are in a fast handicap fleet, often with a large number of boats. The Fifteens fare well in these races. Many boats in the fleet are sailed by mixed male / female crews. The standard of racing is high but there is a place for everyone of whatever standard. Members of the fleet regularly travel to open meetings and regattas in the UK and abroad including Regional, National, European and World championships, and a number of the fleet travel to Falmouth Week each year. We also organise other social events through the year. We hold an annual Open Meeting. The configuration of the lake allows Olympic courses to be set. Boats are stored along the edge of the lake and are easily launched and recovered on a slipway with a winch. The Flying Fifteen can be sailed in most conditions by crews of most weights. Further technical detail about the boat and information about the class activities nationally can be obtained by visiting www.flying15.org.uk. This website is also the best place to find second hand boats. Interested in sailing a Flying Fifteen at Chew? Please email Class Captain Andy Bones for more information and to arrange a trial sail.